This is what this blog is all about! Quick and Easy Family Dinners. I cover some basic ideas for dinner. Especially for those who get home from work and are greeted by a hungry family. In a hurry? Feeling lazy or just uninspired? 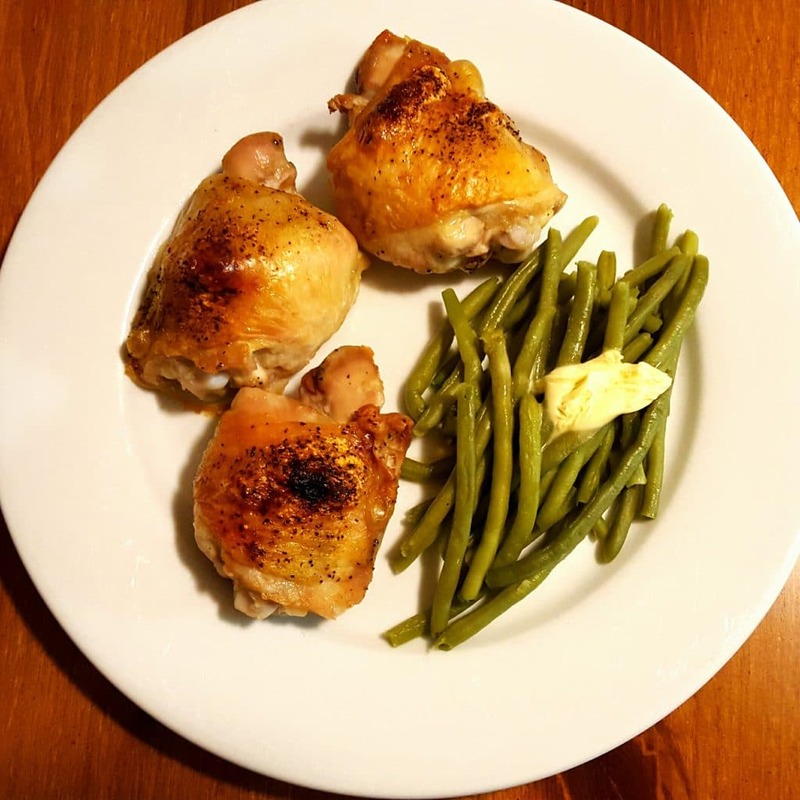 Let me help you create a repertoire of quick and easy family dinners. Meals that you can make without too much planning, with ingredients you have on hand in the refrigerator, freezer, or pantry. Or those you can easily find at your local market. These should be meals you know your family likes, that you can create without looking at a recipe. Quick and easy dinners that you can make without a lot of preparation. No need to get out the food processor or blender. Here are my suggestions for dinners that include meat, chicken, fish, or just a big salad. Beef steak is an easy choice for dinner. Typical cuts of beef for steak include tenderloin, strip, T-bone, and rib-eye. If you have a large family, or are on a budget, chuck or flat iron steaks may work better for you. Your choice of steak can be sauteed in a pan or broiled. 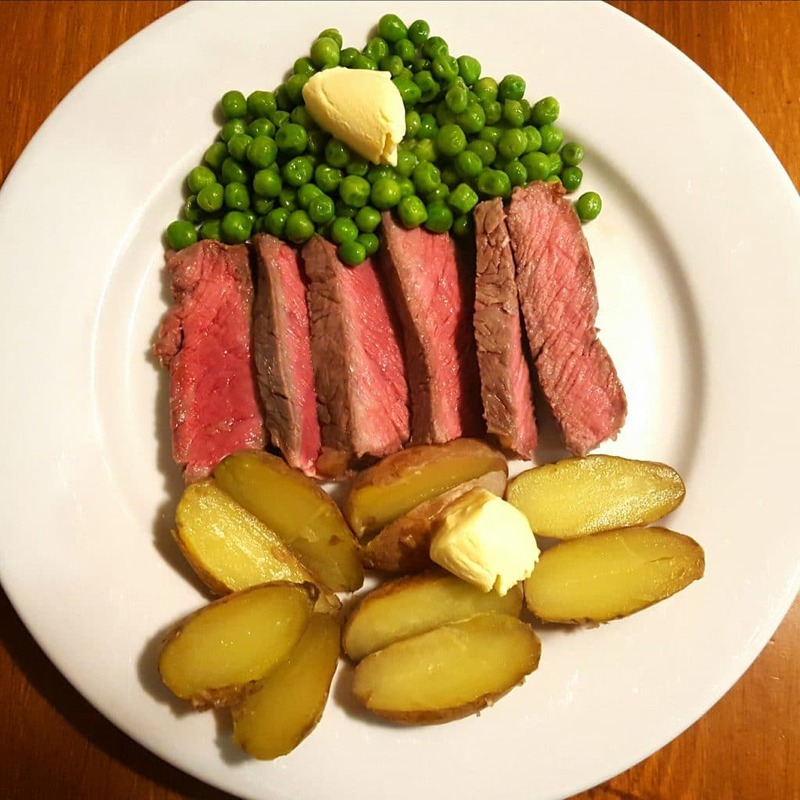 To make the meal complete add peas or corn. I prefer the frozen varieties. I usually like to include another side dish too. Try boiling small potatoes. They cook quickly and shouldn’t take more that 10 to 15 minutes to boil. Frozen veggies and a starch, like instant rice, can be added as side dishes to any of these meals. Chicken is a staple in my repertoire. I usually choose chicken that has already been cut into pieces, like breasts, legs, or thighs. Chicken can be broiled or sauteed, and if the weather is good, cooked on a grill. For quick added flavor, I keep a dry rub from the grocery market in my cupboard that I can sprinkle on chicken or fish. An easy side dish is green beans. Most grocery markets now carry them pre-washed and packaged in the produce department, ready to steam or microwave. 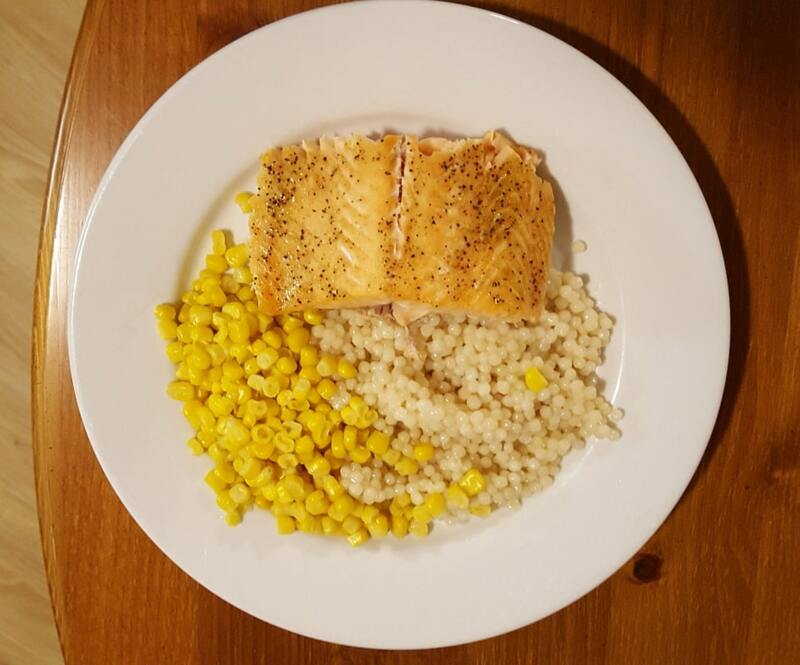 My favorite fish as a main dish is grilled salmon. It can be prepared quickly in a grill pan on your stove top or on a gas grill. I choose salmon fillet and ask my grocery’s butcher to slice it for me. For quick side dishes, I like corn and couscous. But if that’s too much starch for you, try a pre-washed salad or Cole slaw kit. Doles’ Sesame Asian salad kit is one of my favorites. The great thing about having a big salad for dinner is you can use any leftovers from the previous meals above to top them. 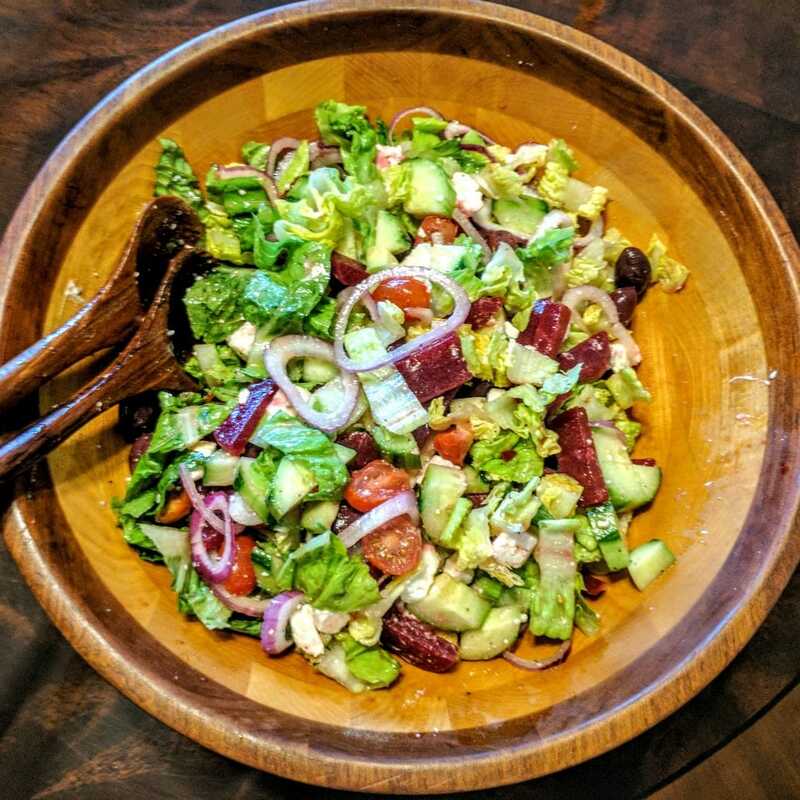 Just toss your salad greens with your favorite dressing, plate, and top with sliced steak, chicken, or fish. If you are a vegetarian, try grilling tofu and adding it to top your big dinner salad. I shop for food about once a week to make sure I have the ingredients I need to make several quick dinners for my family. Once you have confidence in 4 or 5 quick and easy meals for your family dinner repertoire, start adding a few more. Pork or lamb chops? Why not? Pasta? Sure! I make pasta at least once a week. 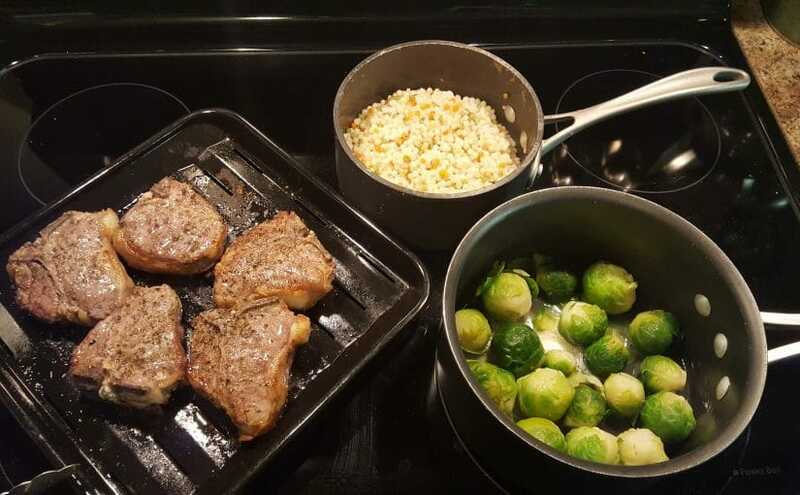 I promise that as you practice your repertoire, it will become easier and easier to quickly whip up a delicious dinner. Got questions? I’m here to help. 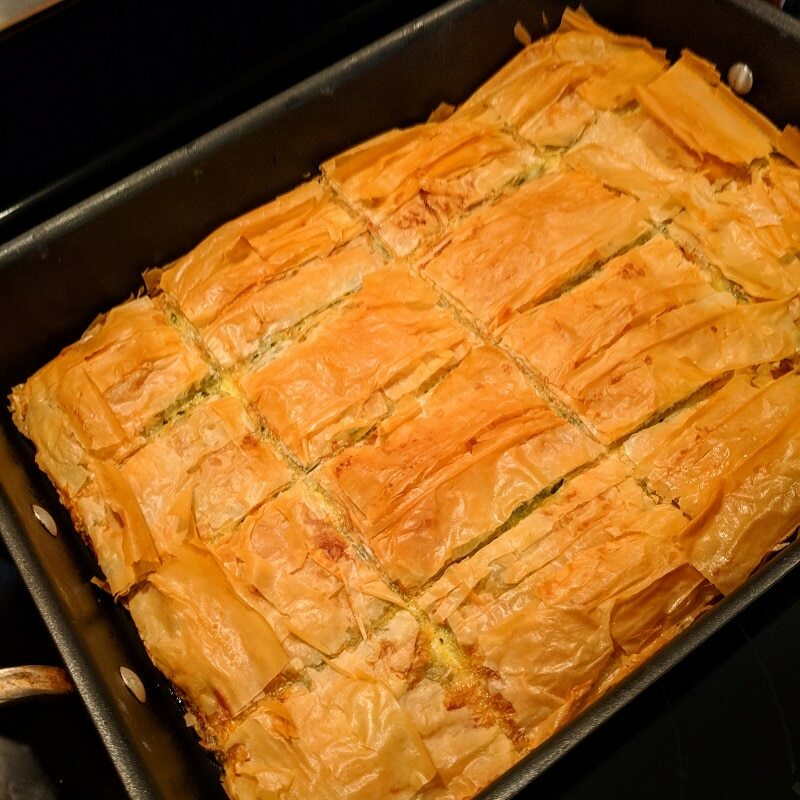 Greek spinach pie, spanakopita with feta cheese, is also called “Spanakotiropita.” I made this version for Easter dinner yesterday. It was a big hit with my family. 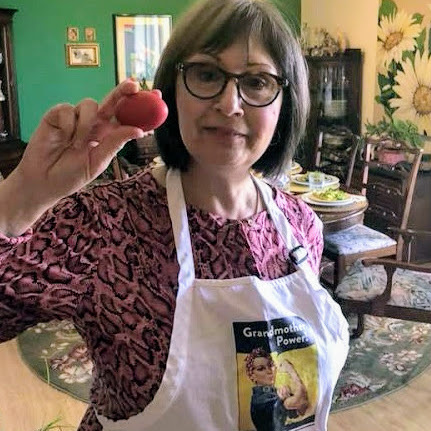 Here’s the recipe for my spanakopita with feta cheese, adapted from my Mothers’ Hellenic Cuisine 1956 cookbook by Saints Constantine and Helen Ladies Society. And look who won the egg cracking contest this year. Good luck for me! Happy Easter! Kalo Pascha! Christos Anesti! Happy New Year 2018! 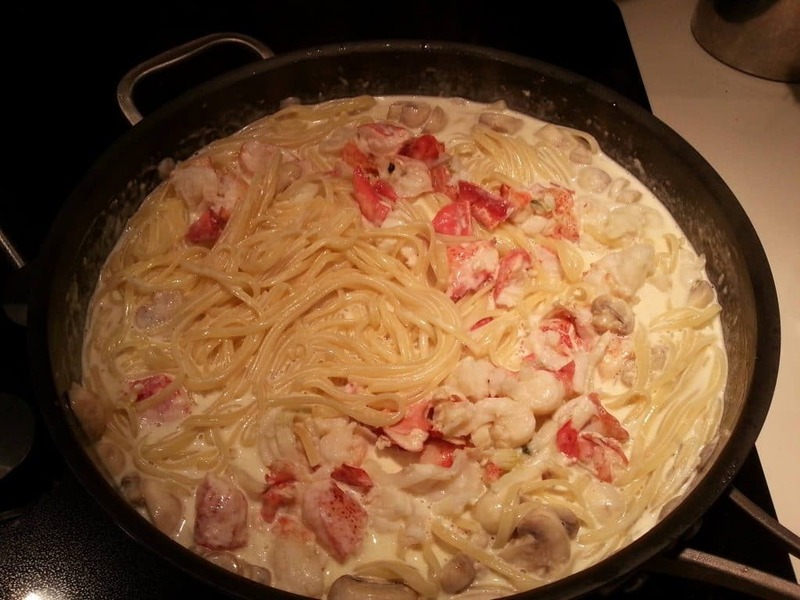 Every New Year’s Eve we indulge in a lobster dinner. We avoid the cold. We avoid the traffic. We stay safe and warm and toast to the new year and eat lobster. Life is Beautiful! I zoi einai oraia! 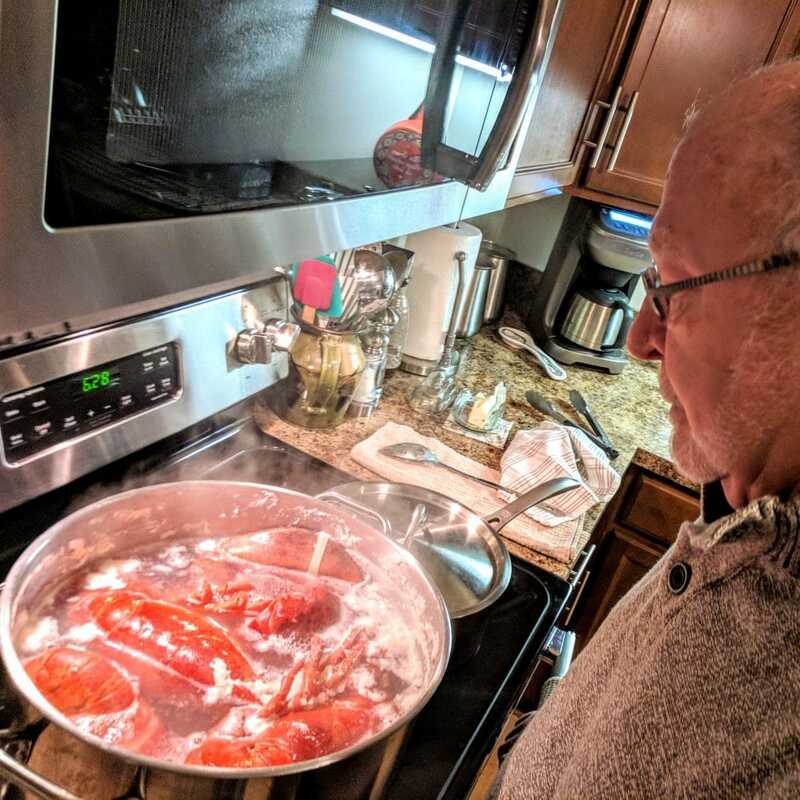 Boiling lobster is fairly easy. If you Google it you’ll get 22,500,000 results. 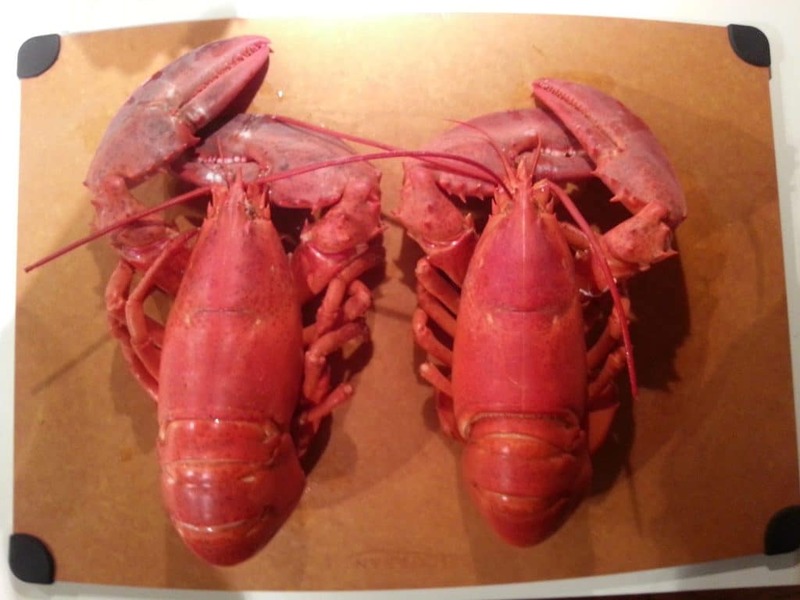 Here’s a fun site called “How to Cook the Perfect Lobster.” It’s got an infographic too! 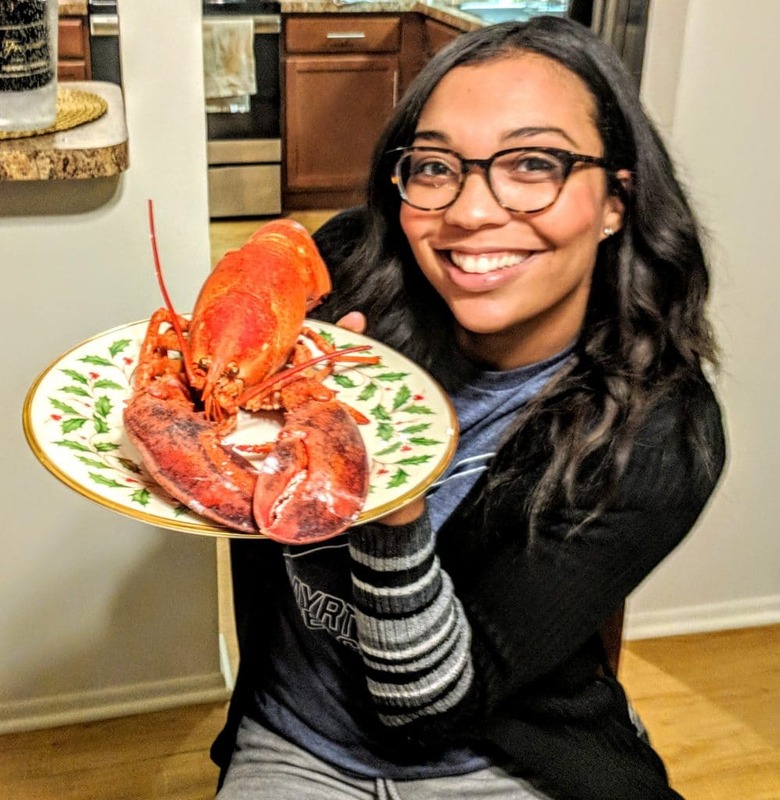 This year we had two special guests, (not the lobsters, there were 4 of them) our son Rahbi and his girlfriend Jaden. Aren’t they adorable? It was Jaden’s first time eating lobster and she definitely enjoyed it. 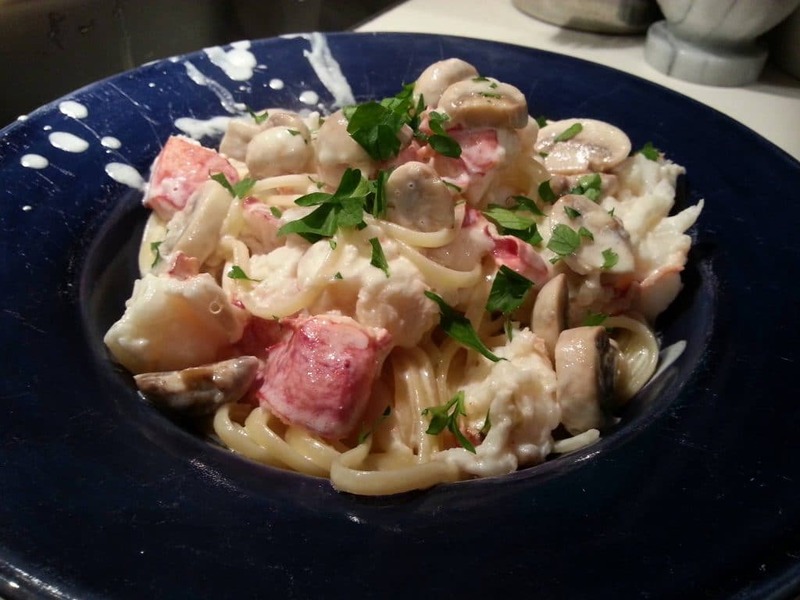 In the past, when we have had quite a few more guests, I’ve made Lobster Fettuccine Alfredo. You can get my recipe here. And there’s a version on that page that’s printable, so you can file it away and refer to it later. I know, you’re probably thinking, “Hey, wipe the plate before you take the photo!” Doesn’t it look really good though? Kalí órexi! Happy New Year! Xrónia pollá! 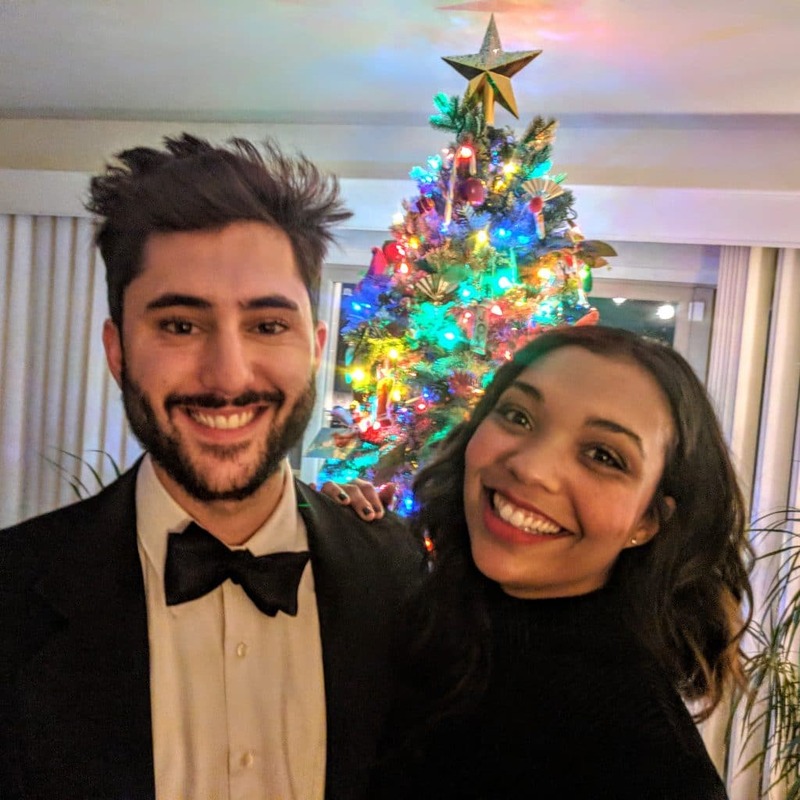 Merry Christmas to all of my Kitoula.com visitors! I can’t believe another year has past and I still (occasionally) keep up this blogging thing I started in August of 2009. 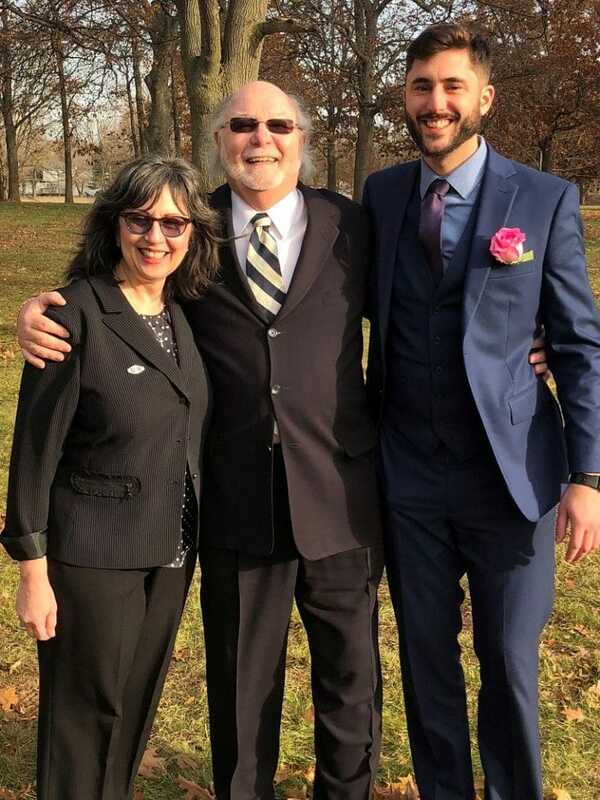 Here’s the latest holiday family photo of me, Yianni and Rahbi. And yes, of course I made koulouria with Max and Ben. Here’s some proof of that on my Instagram profile. I spend more time on Instagram these days. I think that’s true for a lot of us. Be sure to follow me there! You are special today ? Merry Christmas! ???????????????? I will try to capture some pics of our annual New Year’s Eve lobster dinner. Stay tuned. I’m looking forward to sharing that with you.